She gently whimpers as I lift her to my chest. Mouth open, tongue protruding, heading turning gently to and fro. She starts to hyperventilate a little in what I imagine is excitement and yearning for the warm comfort of the milk that nourishes and comforts her. She latches on and begins her rhythmic sucking. Fast and furious until the familiar warmth and tingle of letdown changes it to a long and slow rhythm. Her body relaxes and she cuddles into mine, forming a comma around my middle. Her eyes flutter closed and her hand rests on my chest, or around my necklace. It is calm, beautiful and comforting. For this moment we are back to being one. One being feeding and thriving off of each other. Her mouth is open in a full throttle scream. Face red, frantically alternating between whipping back and forth and butting into my chest like a little sledge hammer. She pecks and beats, not latching on, just screaming and hitting. Her little hands claw at my chest and it feels as if she has a hundred razor sharp fingers. I bounce, I rock, I try to soothe, I try to get her to latch. I go through a mental checklist, Tired? Wet? Burp? Trying to determine the source of the heart breaking screams. I'm supposed to be providing comfort love, not this. She a tries to eat sucking vigorously and frantically. Once the milk is in her mouth she starts screaming, sputtering, choking, coughing. Daddy takes her to bounce, pace, and calm. Same baby. Same mommy. Many times the same day. Breastfeeding is not an exact science. While this is my third time nursing it’s all new again. This baby is different. Her skills, needs, preferences are different. My body is different. While I could predict and prepare with some accuracy how it would react (milk day 4, engorgement, over production and forceful letdown) it was still different. 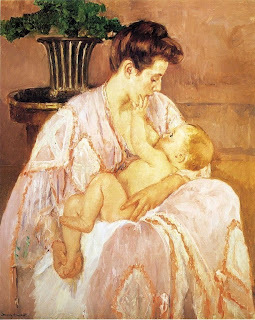 There is a reason they call it the Art of Breastfeeding. It takes time, practice, and patience to hone the skill. Just when you think you have mastered it, something changes. That is the beauty and the frustration. Three times I have had over supply and forceful let down, never has it been solved in the same way, not one child reacted the same way. I went into breastfeeding as something I knew I should do, but had little to no desire to actually do. I was worried about the pain, the difficulty and quite honestly was a little grossed out. Than I held my son and nursed him for the first time and everything changed. It wasn’t easy. Each child has come with their own set of problems and obstacles to overcome. Being a rather scientific (type A) person, the lack of firm instructions when it comes to breastfeeding is sometimes difficult for my brain to handle, especially with my first child. I want to know when to feed, how often, how long. “On Demand” is not a good enough answer for me. I have been frustrated by the seemingly endless amount of “right” ways to handle situations that arise. Ask a question of other breastfeeding moms, lactation consultants, and pediatricians and you will get a laundry list of answers. It’s a lot of trial and error and try and error again. As I settle into the 7th week of nursing my third child I find that frustration melting away. We are establishing a rhythm a routine. We are honing our craft and learning how to read each other. I am learning the art of breastfeeding and while we are not masters we are finding comfort in the process and each other. The Nursing Mothers Companion, by Kathleen Huggins, R.N. M.S. I remember thinking I had the breastfeeding thing down when my second child was born and being surprised that I needed to relearn how to do it, because I wasn't nursing the same baby that time around! No two nursing relationships are alike. Each mother and each child is different. Thanks, Melissa! I'm both looking forward to and dreading breastfeeding again. I'm also equally frustrated with the amount of different info out there. I agree, it is an art form indeed. For me, breastfeeding and getting into the groove with my daughter was harder than the actual pregnancy and labor! But when we were in sync, it was just magical! And I can't wait to do it all over again in two months. I have no delusions about it being any easier the second time around, but at least I know for sure it's rewarding and it's going to be wonderful all the same. "Her body relaxes and she cuddles into mine, forming a comma around my middle" -Love this line, Melissa! You're so right with all of this. Each of my breastfeeding experiences has been different, each journey peppered with unique obstacles and details. 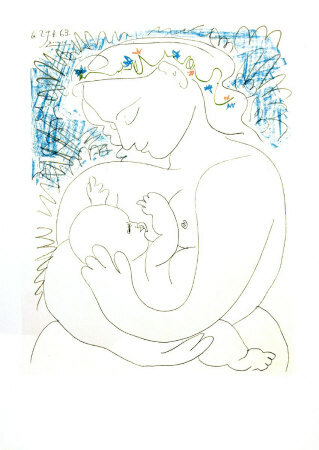 Thank you for reminding all of your readers -whether we're mommy veterans or expecting our first- that breastfeeding our children truly is a beautiful act that can be worked on, improved, and more than anything, enjoyed. I recently went to a training on breastfeeding and it blew me away. I learned a lot that I wish I knew when I had my son. There are so many positions to try and that babies actually know how to nurse without our help. Do you use biological nurturing? You are SO right Melissa. Breastfeeding is an amazing and frustrating experience. But for me it was also beautiful. I'm hoping with my next son that I will be able to breastfeed for longer, since I'm not working this time around.